In spite of the violent crackdown on protesters in Egypt, the United States continues to avoid reviewing its policy regarding military aid to the country. The Obama administration has good reason to be cautious. US officials have been engaged in remarkable linguistic creativity to avoid labeling the military takeover a coup. “We have determined that we do not need to make a determination on Egypt” was one of the most beautiful results of these verbal gymnastics. Although the Obama administration has taken a slightly tougher line following the violent clearing of the protest camps, cancelling a military exercise is the furthest it has been prepared to go so far. The US has good reason to be hesitant. 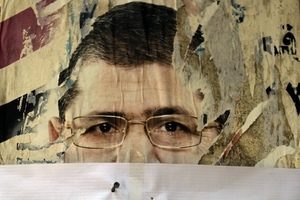 Putting too much pressure on Egypt is neither credible nor risk-free. 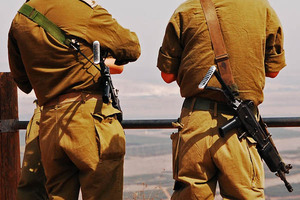 To begin with, the US has a strong interest in keeping the military aid flowing. Aside from ensuring Egypt’s adherence to the domestically unpopular peace treaty with Israel, it acts as an important source of US influence in the region, ensures US-Egyptian security cooperation and grants privileges such as priority passage through the Suez Canal for American military vessels. 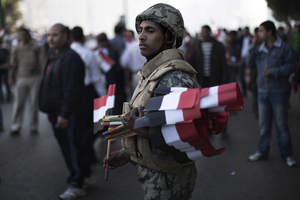 Moreover, military aid to Egypt serves domestic US interests. The actual funding does not even leave the United States, as the lion’s share is directly transferred to American defense contractors who provide the Egyptian armed forces with weapons. These companies have a strong lobby in Washington as well as support from most Congressmen who have arms manufacturing plants in their districts. Additionally, any cancellation of the funds would oblige the US government to pay major termination fees to the arms contractors. Decision makers in Cairo are well aware of these interests and constraints, and while American interest in keeping the funding remains strong; the prospect of losing it seems to become less of a concern for Egypt. According to a report by the US radio network NPR, the Egyptian army receives those weapons the US wants to sell, rather than those that Egypt actually wants and needs. Instead of providing equipment to fight terrorism and ensure border security in the Sinai Peninsula and the Libyan Desert, the US sends tanks and fighter jets which are mainly geared towards classical ground warfare. There is no conceivable scenario in which these weapon systems would be needed. Accordingly, most tanks are hardly used and sit rotting in the barracks. 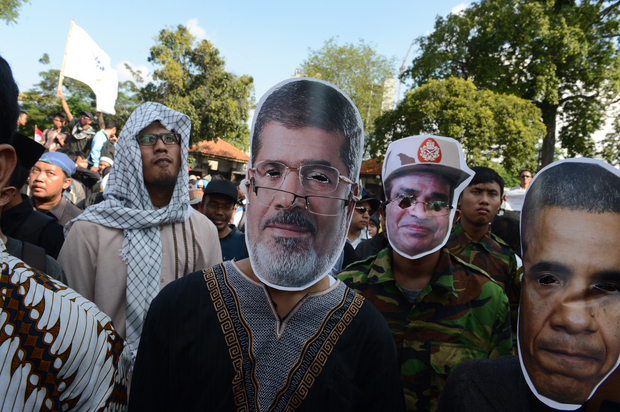 Lately, American F-16 fighter jets and Apache helicopters were mainly used to enthuse anti-Morsi demonstrators by drawing hearts in the sky and dropping tiny Egyptian flags on the crowds. Egyptian generals love their American toys. And yet, both the weapon systems and their funding are not irreplaceable. When the continuation of financial assistance from Qatar was in question following Morsi’s ouster, Saudi Arabia, Kuwait and the United Arab Emirates quickly pledged a total of $12 billion, by far outmatching previous Qatari help. Likewise, Saudi Arabia has already promised to cover any losses of Western aid. Other global actors might provide arms technology. As Egypt is becoming increasingly hostile towards what it perceives as Western meddling in its internal politics, China’s commitment not to interfere in the domestic affairs of foreign states and its complete lack of interest in their human right records make it an attractive partner. Trade volume between both countries has increased considerably in recent years and Egypt is already the biggest African market for Chinese defense goods. Accordingly, US pressure lacks credibility and is not as much of a threat to Egypt’s generals as has been suggested. Furthermore, there is an element of uncertainty relating to General Sisi and his personal ambitions. If he actually aspires to become the next president, as has been widely suggested, the loss of US aid could prove to be in his interest. Since the removal of Morsi, many Egyptians have likened General Sisi to former President Gamal Abdel Nasser, who is still widely adored for standing up to the British and finally shaking off their influence. His oppressive, dictatorial style of government and his relentless and brutal persecution of actual or perceived opponents is excused and forgotten. At the same time, the Egyptian people are aware that British influence has merely been replaced by American influence, which has proved equally unpopular. Currently, large parts of the Egyptian public and media blame the United States for virtually every problem facing their country. Ironically, supporters of Morsi are convinced that the United States is responsible for his ouster, while his opponents remain convinced that the US brought him to power and tried to keep him there. The Tamarod campaign, which called for the demonstrations that led to the military coup, has even launched a petition demanding the cancellation of American aid. If American military aid is cancelled in the current situation, the Egyptian authorities and both private and state media will probably create a narrative that General Sisi freed Egypt from US influence. Such a move would doubtlessly cement his reputation in Egypt for decades to come. It will, however, not make Egypt less dependent on foreign actors. The actors might change, but aid from China, Russia or the Gulf will not come without conditions. Particularly Egypt’s liberals should consider whether influence from those countries is really more attractive than Western influence. Read more in this debate: Abdullah Al-Arian, Joseph Hammond, Mai Shams El-Din.